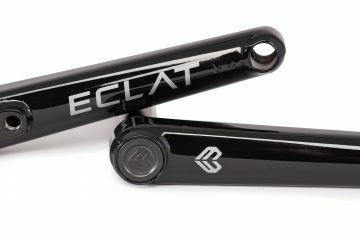 As soon as Ty Morrow joined the Eclat family in 2017, we started work on his signature tire. 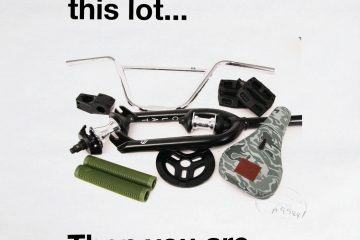 Creating a tire that could hold up to one of the most powerful and demanding riders in the game was the ultimate test in design and allowed to really push the boundaries of how dialed a BMX tire could become. 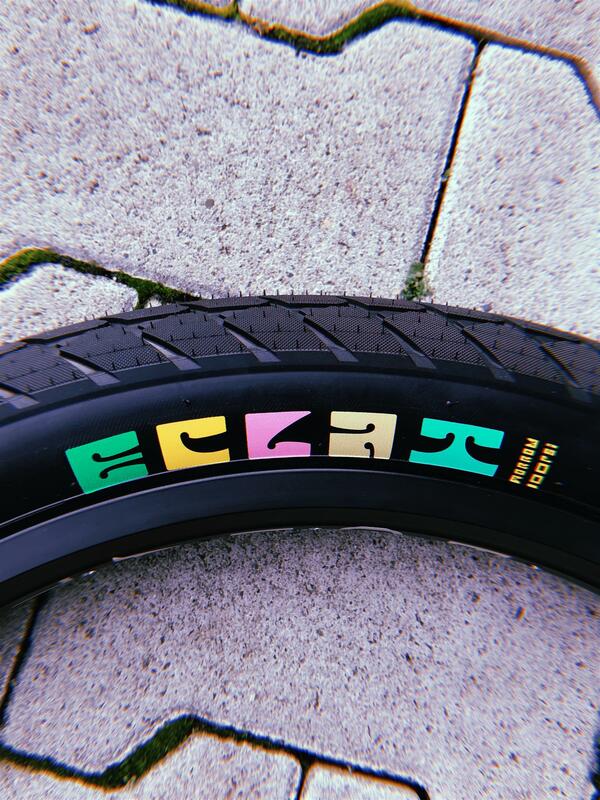 Ty puts his bike through so much and demands the best quality possible in his products, so it was only fitting that his signature tire be one of the most durable and versatile tires we’ve ever done. 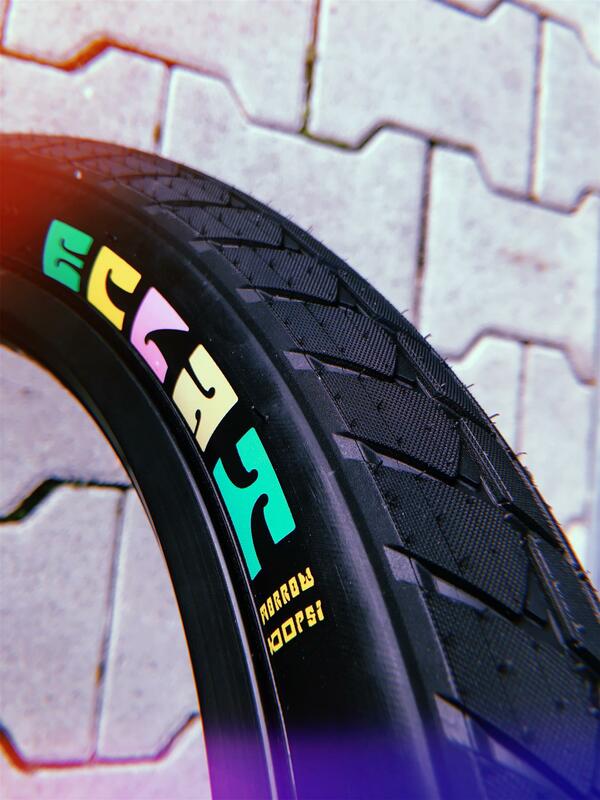 Ty was incredibly specific about the tread pattern and tire specifics from the get-go, and after several months of small revisions and even sending 3D prints to Ty in LA to ensure that the tire would be nothing less than perfect, the Eclat Morrow Tire was completed. Working together with one of the best tire manufacturers in the world, the Morrow Tire features a fast rolling, but incredibly grippy tread pattern which was designed to shred it on all terrains. 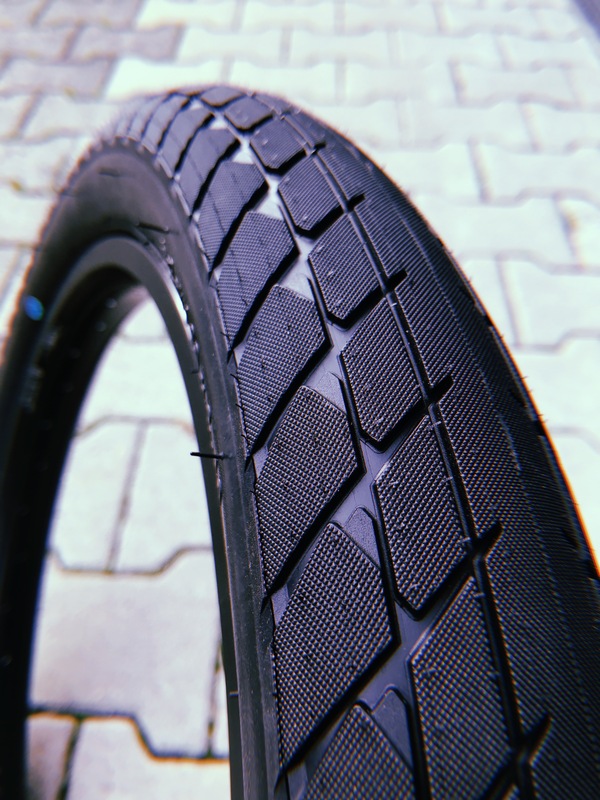 The tread was specifically developed to give you a fast rolling center line, but with enough “bite” and traction on the edges when the tire banks and makes sharp turns. 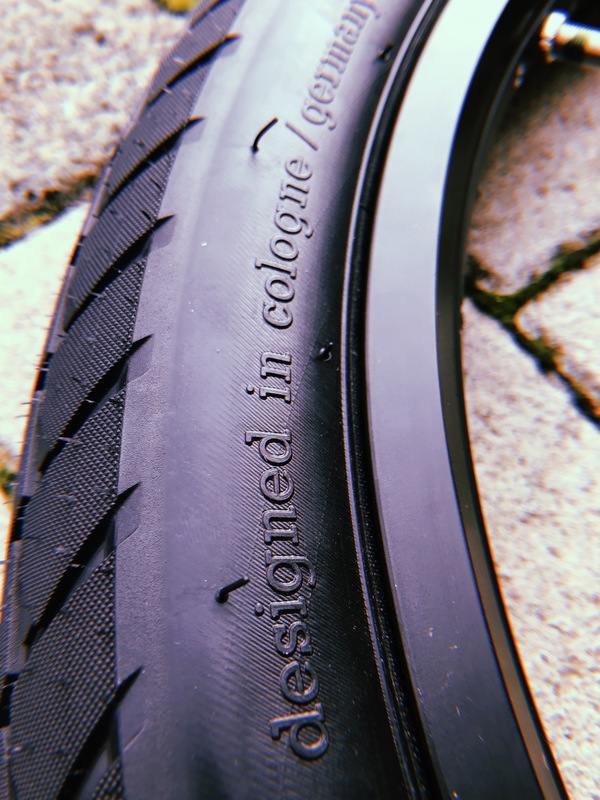 Ty wanted a large tire which would work well at all tire-pressures, so the Morrow Tires measures up at 2.40″ (63mm) wide, making it perfect as a front or a rear tire. 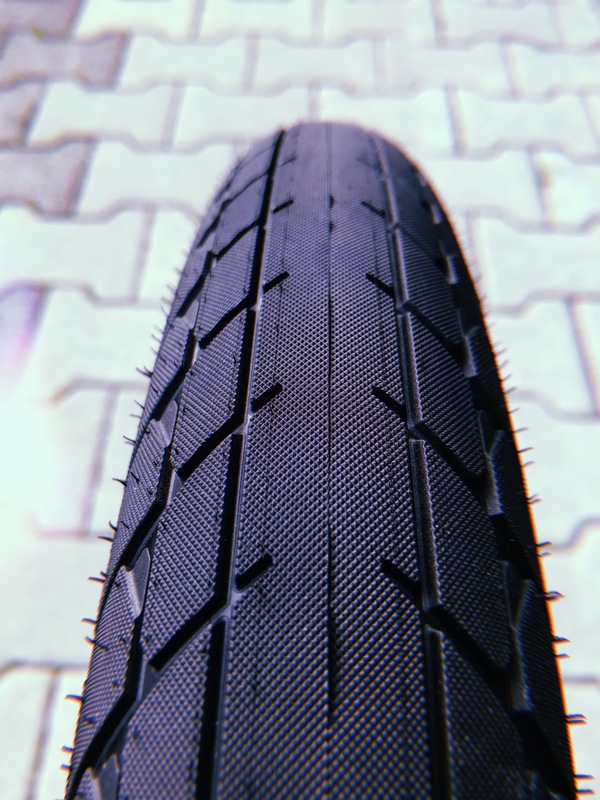 We used the best quality rubber compound available and backed it up with a high-performance tire casing to ensure that the tire could hold up to huge impacts, grind damage hangups and just about anything that could happen whilst out in the streets. 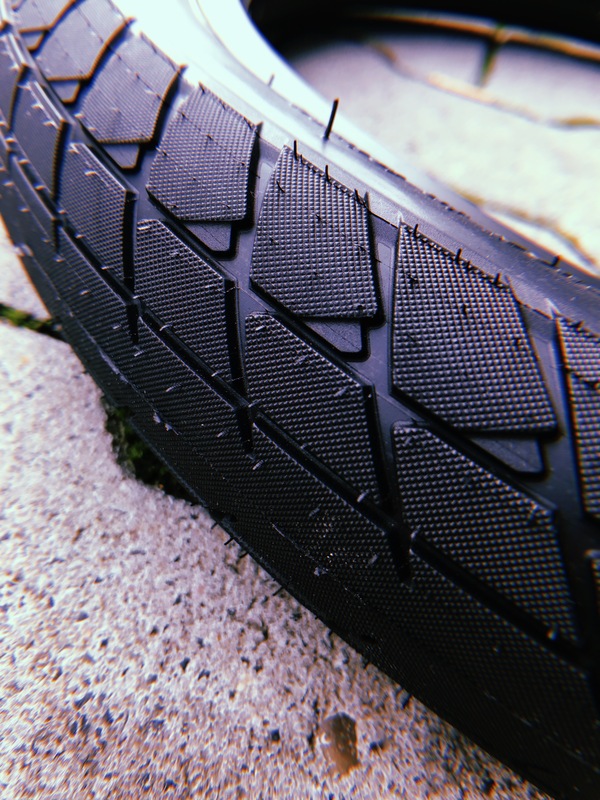 Despite its large size, aggressive and grippy tread pattern and re-enforced carcass, the Morrow Tire weighs in less than most tires at only 24oz. 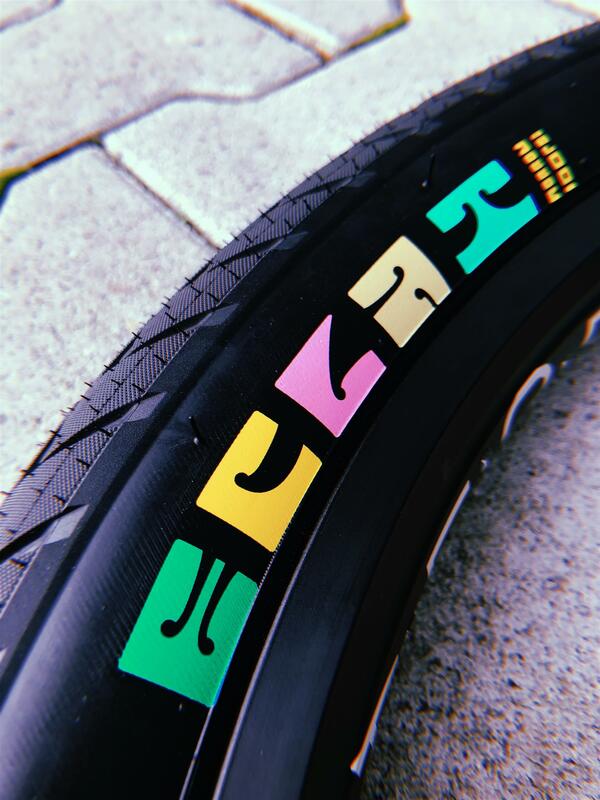 To help the tire standout from the crowd we used a unique 6 color hot-patch on the sidewall which matches Ty’s signature bars which are now available. 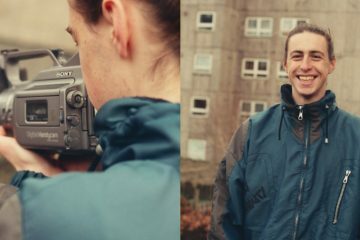 Ty just received the first samples and will be putting his signature rubber through its paces ahead of its launch mid-2019. 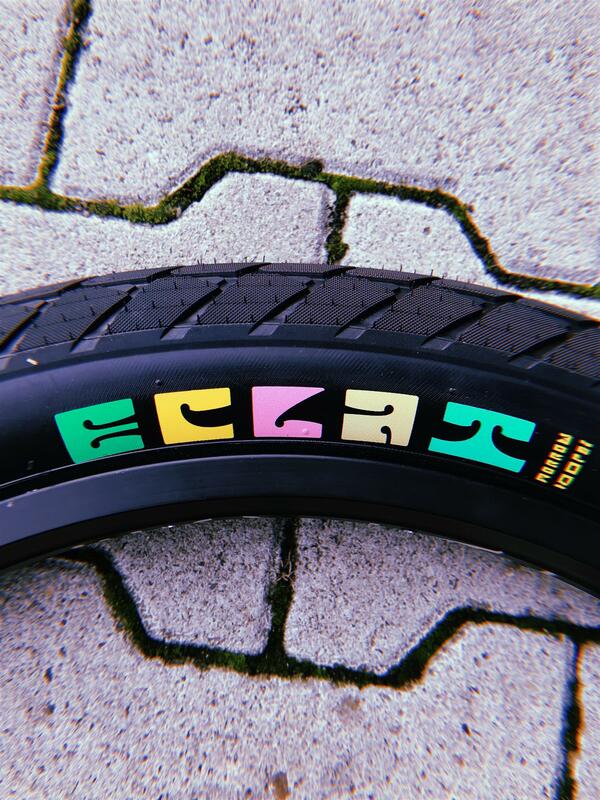 Expect to see more info on the Morrow Tire, the colors we’ll be offering and other new products we have on the horizon in the near future on our @eclatbmxparts Instagram page.